DM2 is a pretty interesting windows enhancements open source program for Windows 2K and XP. The application can be downloaded from Sourceforge and does not need to be installed at all and can be run from any location of your hard drive. Once installed it adds a small icon to your system tray which can be clicked to configure the functionality. It adds by default several interesting new ways to interact with open windows in the operating systems. The minimize, maximize and close buttons get new functionality when you right-click them. A right-click on minimize sends the window into the system tray even windows that can normally not be minimized to the system tray. Advanced users usually switch between open windows using the keyboard shortcut ALT + TAB which is fast but has the disadvantage that only an icon is displayed which makes it impossible to distinguish between windows of the same type. Microsoft created a fre program called Alt Tab Replacement which is part of the Microsoft Powertoys which displays additional information about all tabs that are open. It is human to forget passwords, this is actually happening to everyone once in a while. Fortunately there are ways to recover passwords if you fail to remember them. Many web based services send it to you again, you can use tools like Snadboys Revelation to check on passwords in Windows that are hidden with *****. There is however no obvious way to recover or change a forgotten password in Windows. Microsoft recently published updated figures about their Windows Genuine Advantage protection that tries to hinder users of illegal versions of Microsoft Windows to update their system with some of the software that can be downloaded from the microsoft homepage. Software like the new Internet Explorer 7 or the Windows Media Player can only be downloaded after a successful WGA check. The download and installation will be denied if a check fails. There are many articles floating around on the internet covering this subject and I would like to stay at the basics this time. A way to secure Windows XP with little effort. You can't make a system 100% secure, there will always be ways to beat every protection. I collected a list of things that should be done to secure the system, it is not a huge list but it covers all the necessary steps I think. 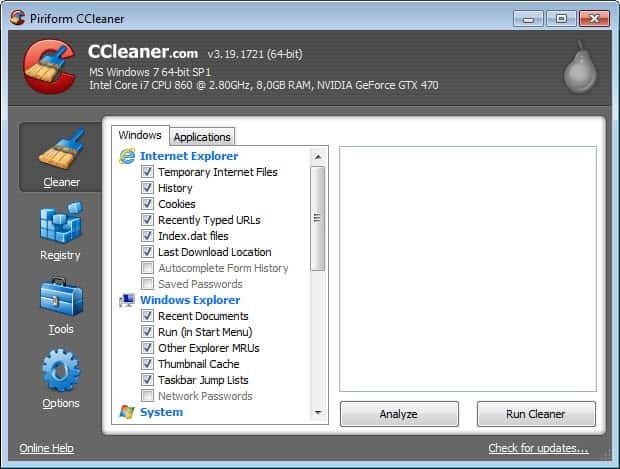 Most users that work with Windows XP in a home environment use the administrators account which is probably the easiest but also least secure way of working with Windows XP. A solution that most users dislike would be to create a limited second account and only switch to the administrators account if the privileges of that account are needed. Many users don't like this idea because it means switching accounts every now and then to be able to use the system. Using Windows XP without those nifty little freeware programs is not a good idea. When you run it out of the box it is slow, offers many features no one needs, lacks many that everyone needs and raises privacy concerns that can only be fixed using third party tools. This is basically a listing of programs that I install everytime I setup Windows XP on a computer, the must have freeware utilities in my opinion. Many hardware companies sell their systems with a windows xp recovery cd which makes it most of the time impossible to install that operating system on a different system. This forces the user to either buy a new XP system or at least a standalone XP Cd, that is, unless you do what I'm going to explain here. 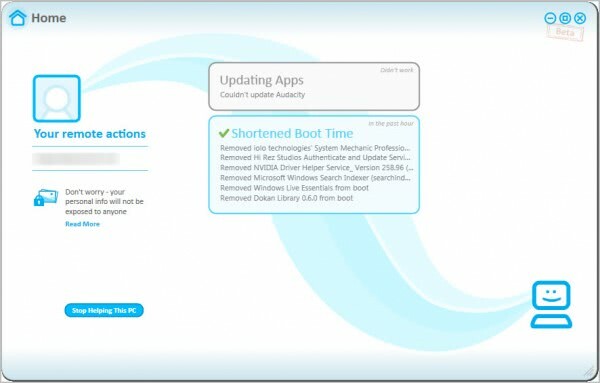 The following steps create a bootable standalone installation system for your operating system that is not connected to the computer you purchased it with. Windows XP has the annoying habit of assuming that every user wants to run his operating system with the same screen resolution, color depth and refresh rate. If you ever had to share a computer running windows xp with older folks you know what I mean - they tend to love low resolutions because everything on the screen appears to be bigger that way. USBdumper runs silently as a background process once started and copies the complete content of every connected usb device to the system without the knowledge of the user. It creates a directory with the current date and begins the background copying process. The user has no indication that his files are copied from his USB drive unless he does know that USBdumper is running on the system. (or accidentally find the directory with the copied files). Linux users are still laughing at windows users who were never able to experience how powerful a virtual desktop system might be. You have two options if you work with more information than your desktop can display. First, you could buy a second monitor and connect this one to your pc providing that your graphics adapter supports two monitors. Second, you could use a virtual desktop application that emulates a number of desktops on one monitor. What a great little freeware application. Seconfig is only 37K in size and can be right from the location that you decided to unpack it to. The freeware has three main functions: Restrict Lan-like access, Service settings and TCP/IP settings. You may disable netbios, SMB and RPC over TCP/IP in the first, those are major entry points for worms and hackers. I once had the problem that I changed some settings in windows which disabled my automatic login into windows xp. I was prompted to enter my login details and could not remember them at all. The following method could be working in this and similar cases. You could try using the default Administrator login and leave the password blank. This should work for every computer where the admin password has not been changed. Many of you might know the discountinued freeware microsoft bootvis, for those who do not. Bootvis analyses the boot process and measures the startup time from cold boot, hibernate and standby. After analysing the startup process it will optimise it so that boot times of one or more minutes are a thing of the past. It´s a great tool if you have a computer that is slowly booting into windows xp. Xpy is a great little freeware application that lets you change windows xp settings with ease. The normal way of changing items would be to use a registry editor, search for the relevant key and change the value of that key. Xpy aids you by offering options to change many settings with a simple click of the mouse button.